Barça Lassa are already out of the Euroleague and are just seeing out their fixtures, while Baskonia are locked in a battle with Maccabi Tel Aviv for the remaining berth in the playoffs, and it was the Basques who came off the better with a crushing final period to win 73-86 at the Palau. A 0-14 streak towards the end tipped the balance of what had been a tightly contested affair until then. Voigtmann (17) and Poirier (15) were outstanding for the visiting side, but Barça Lassa’s Koponen (21 points, 5/5 for 3-pointers) and Oriola (15) were both on song too. 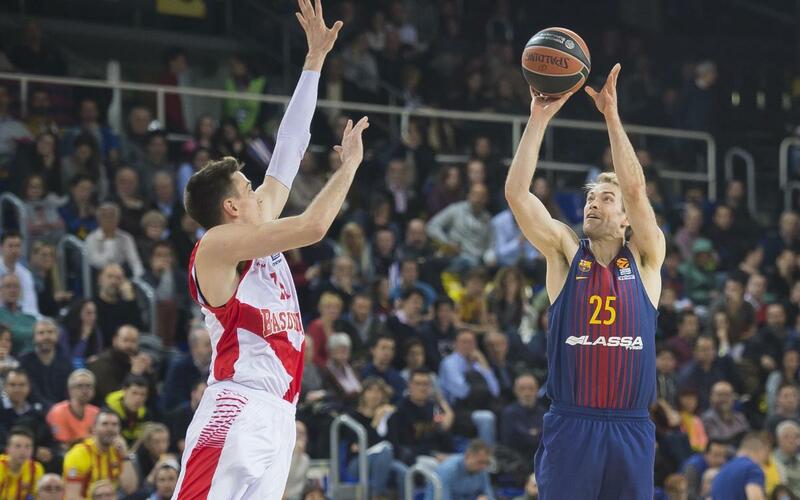 Tight as the game was, it was not until the 23rd minute that the Catalans had any kind of lead (47-43), but Baskonia soon cancelled that out and the final quarter started 58-63. It was then the visiting surge as good as sentenced the game at 58-77, with Barça taking five minutes to find any kind of score, and ending up playing a game of catch-up against the clock that they never seriously looked like winning.